The Joyetech Cubox AIO Vape Kit is composed of a 2000mAh build-in Joyetech Cubox AIO battery and a tank of 2ml e-juice capacity. The kit is the all-in-one style, which is simple and compact. 50W max output power and available in Black, Blue, Green, Red and Silver colors. The Joyetech Cubox AIO Vape Kit is the all-in-one style kit, which is composed of a 2000mAh build-in Joyetech Cubox AIO battery and a tank of 2ml e-juice capacity. The Cubox AIO features convenient top filling system and adjustable top airflow control. The kit is powerful of such compact size with 50w max output wattage, and it support 2A quick charge. Also, the fashionable indicator lights can show the battery life after you click the fire button. The Cubox AIO kit comes with the unique ProC-BF series head, which is especially better for MTL vapers. 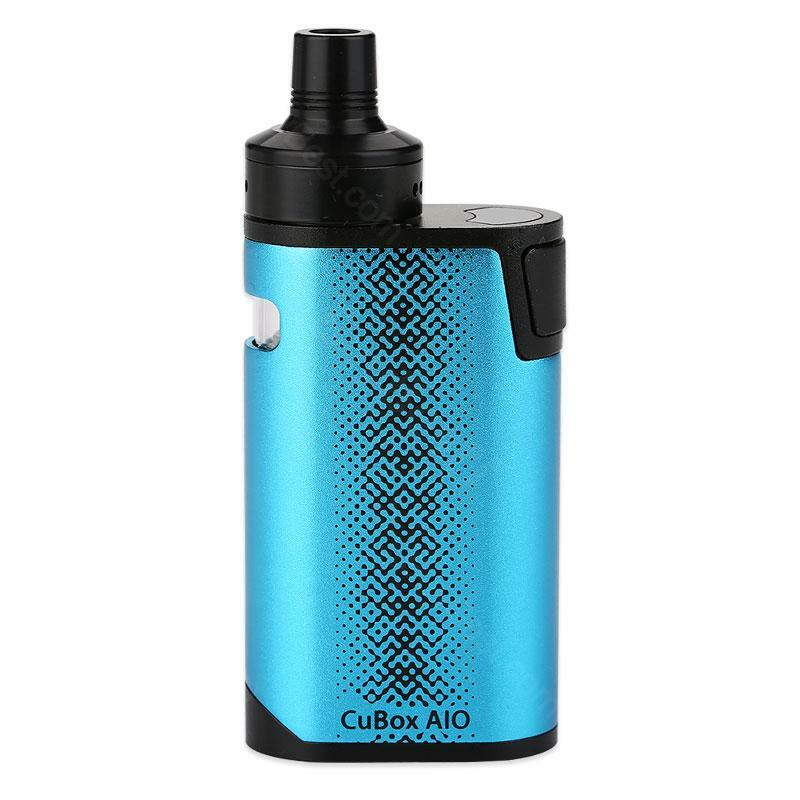 If you prefer compact size, simple design and functional device, the Joytech Cubox AIO will be the good choice. Black, Blue, Green, Red and Silver colors are available. • You can buy replacement ProC-BF coils here. It is also compatible with CUBIS 2 Atomizer/ CuBox with CUBIS 2 Kit/ CuAIO D22 Kit. Количеству популярных устройств формата AIO у Joyetech большая часть конкурентов могут только позавидовать. С одним из них я и познакомился благодаря нашим друзьям BuyBest. See more Joyetech CuBox AIO Vape Kit review. I find Joyetech CuBox AIO Vape Kit good quality and value. Joyetech ist klein, edel, sehr unauffällig und die Dampfentwicklung ist gut. Alles super.